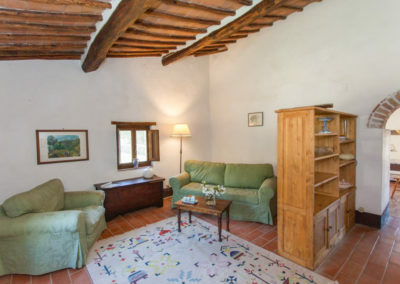 2 bedrooms 2 bathrooms • About 0,6 miles away from the main Castello compound • heat available. 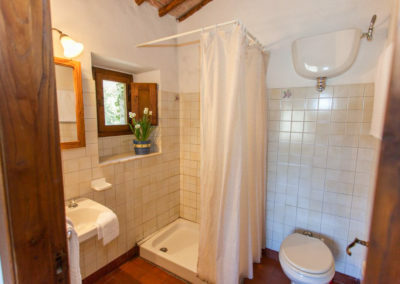 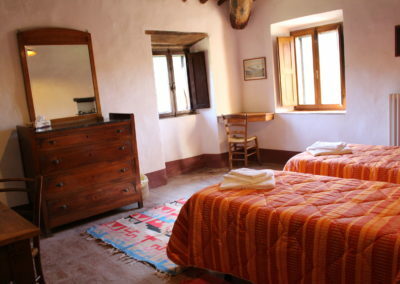 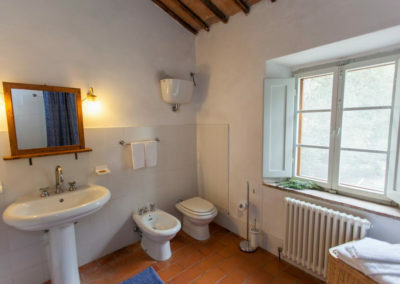 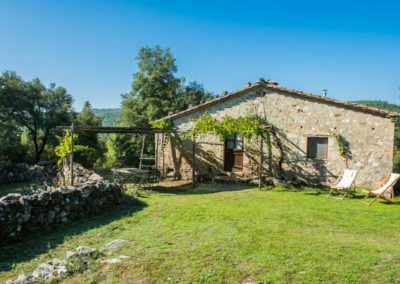 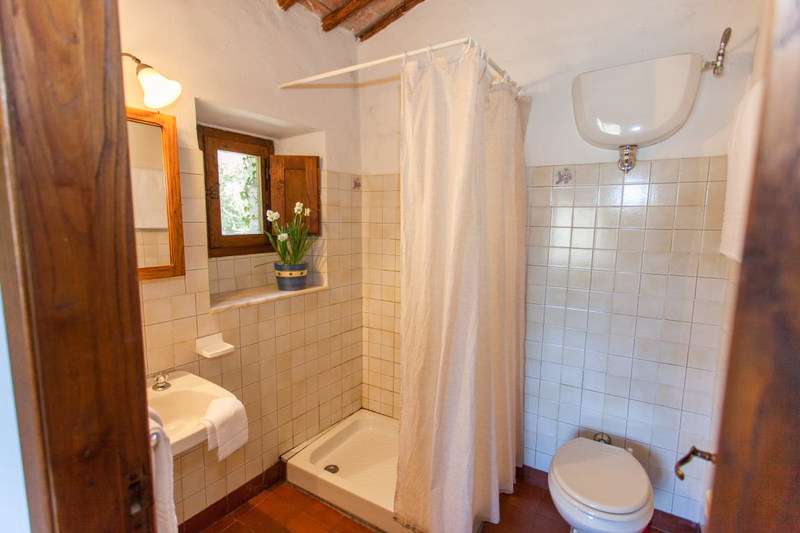 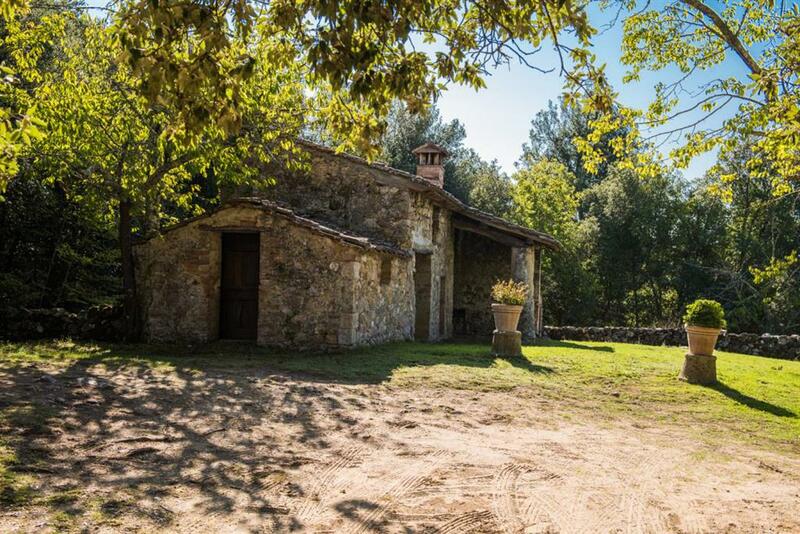 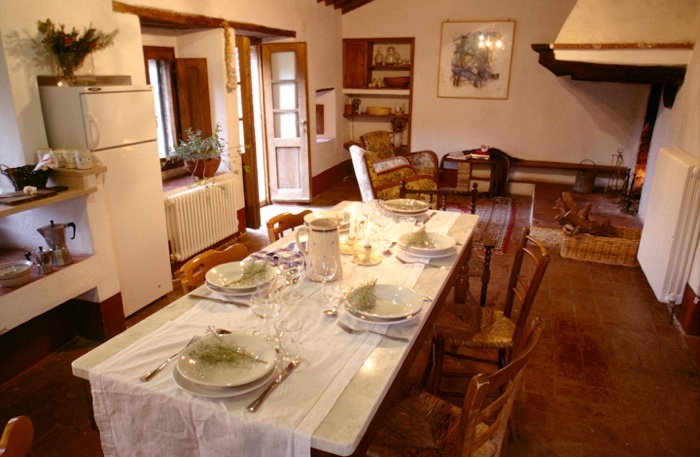 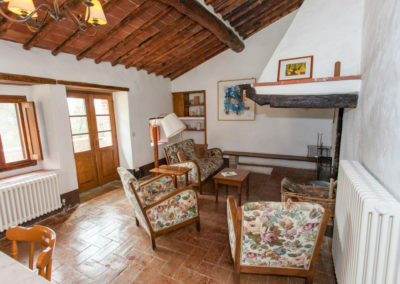 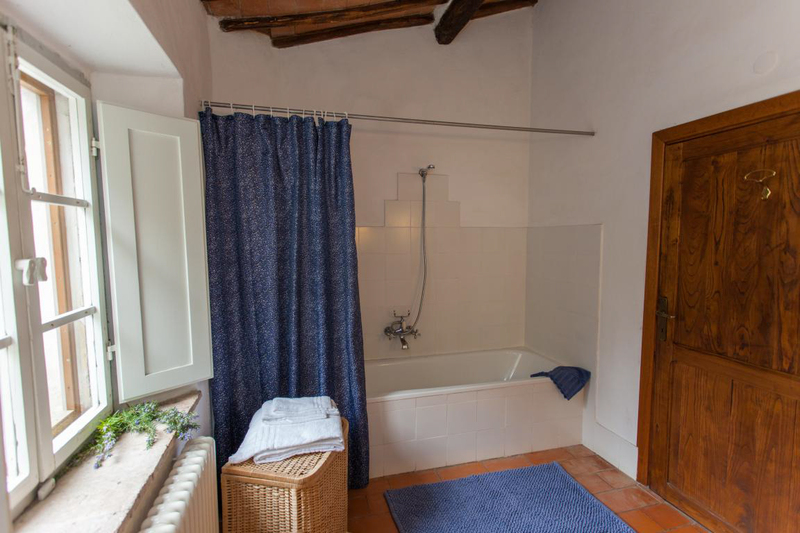 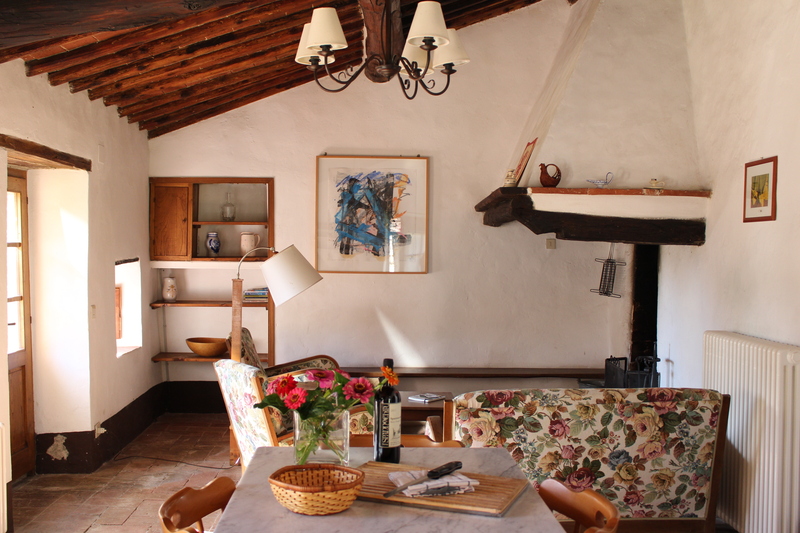 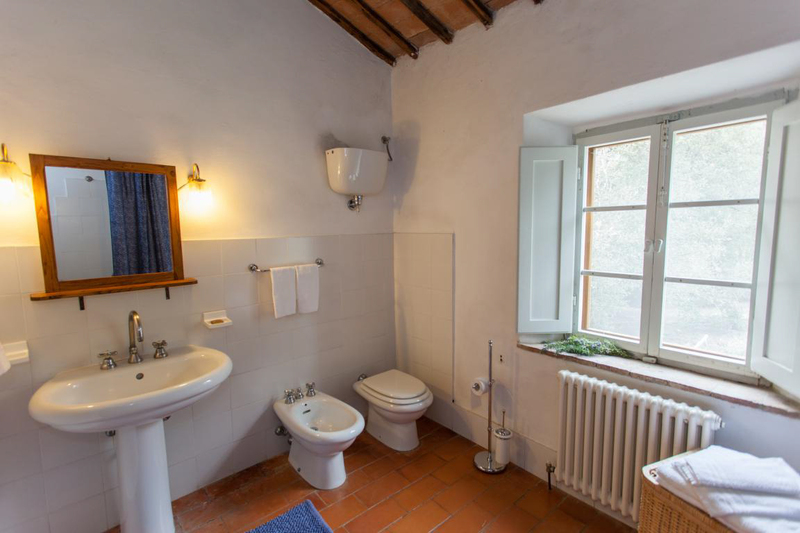 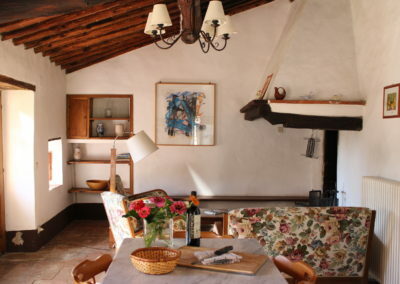 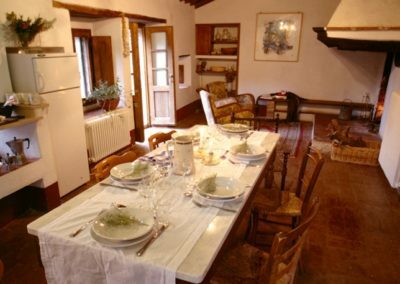 Montecchino (sleeps 4) is a lovely retreat for guests seeking a more secluded and quiet vacation. 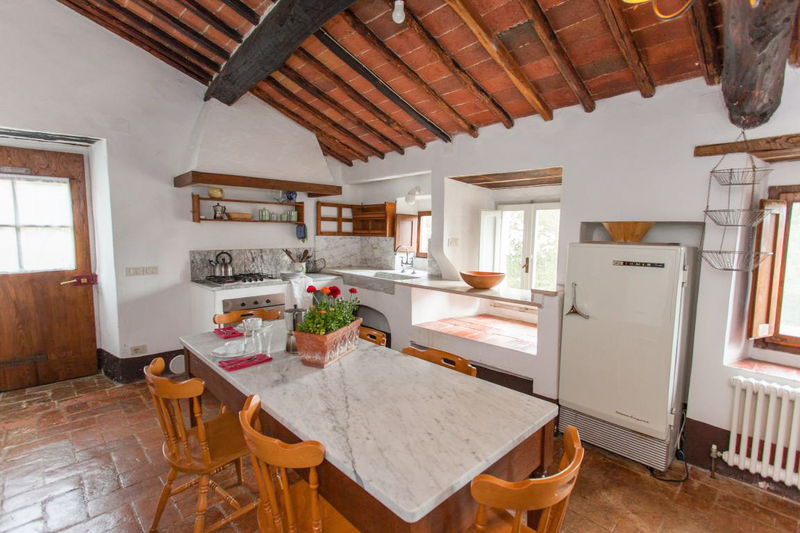 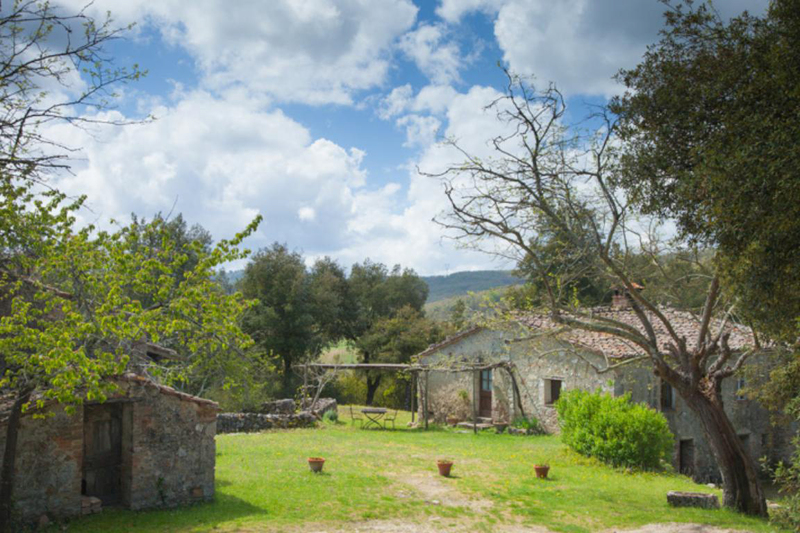 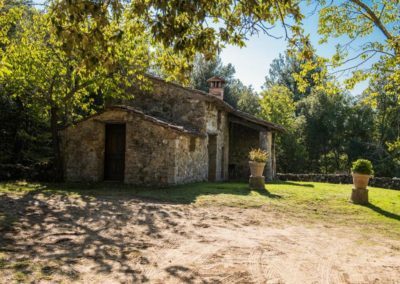 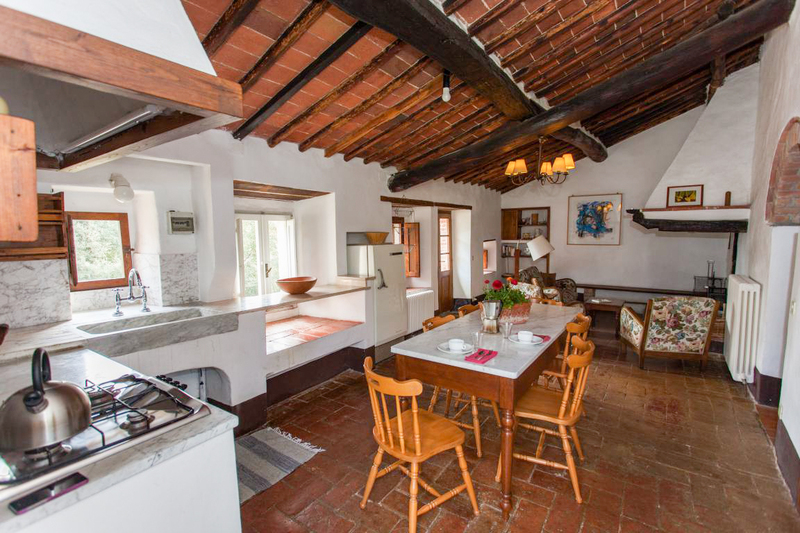 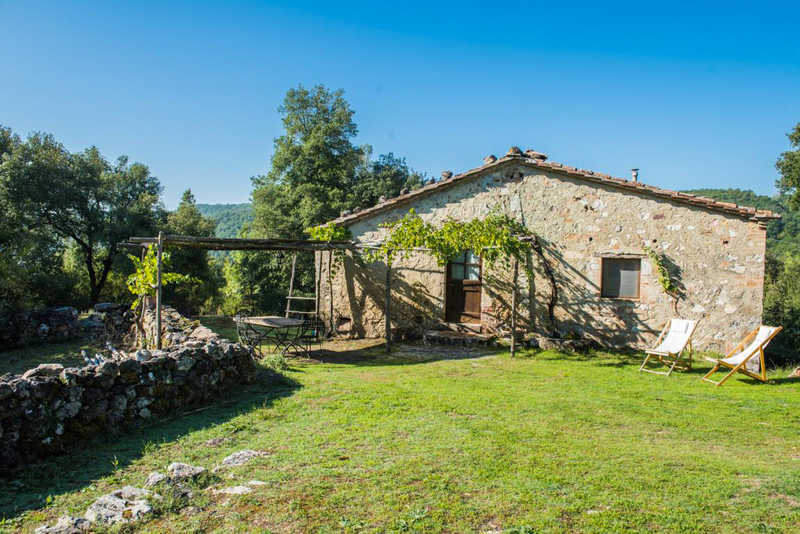 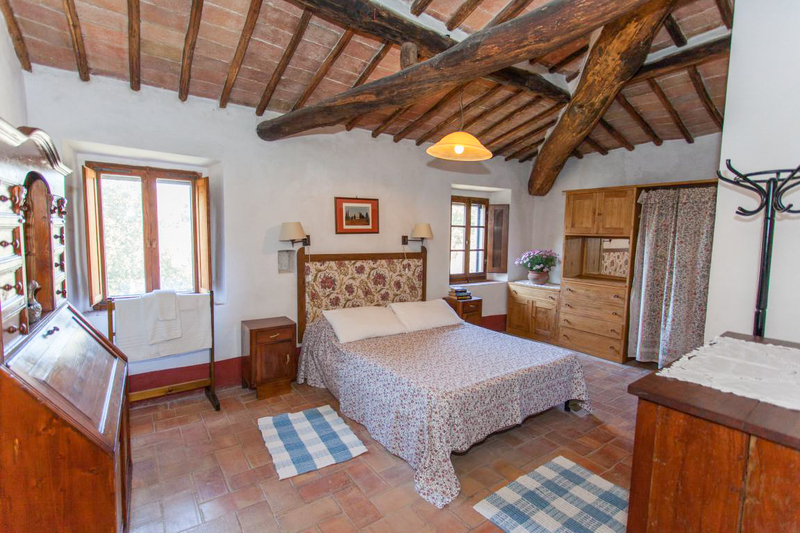 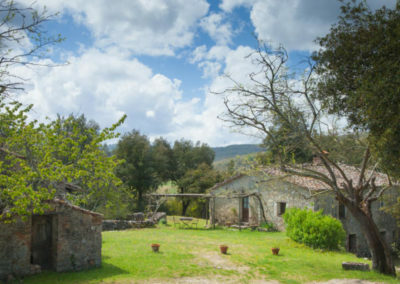 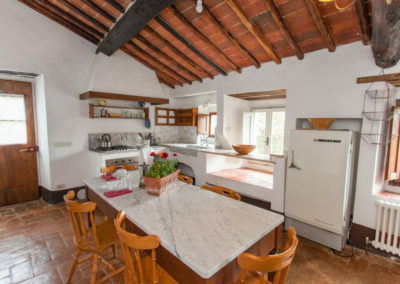 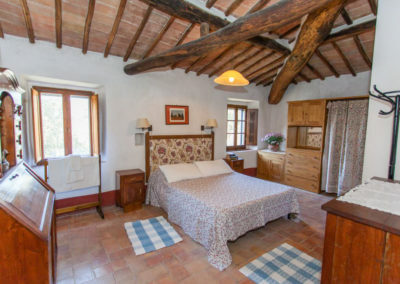 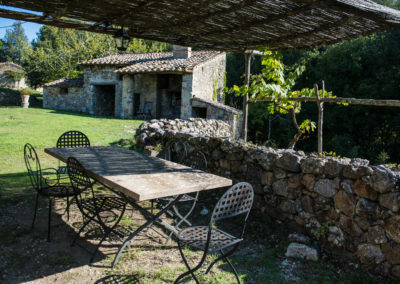 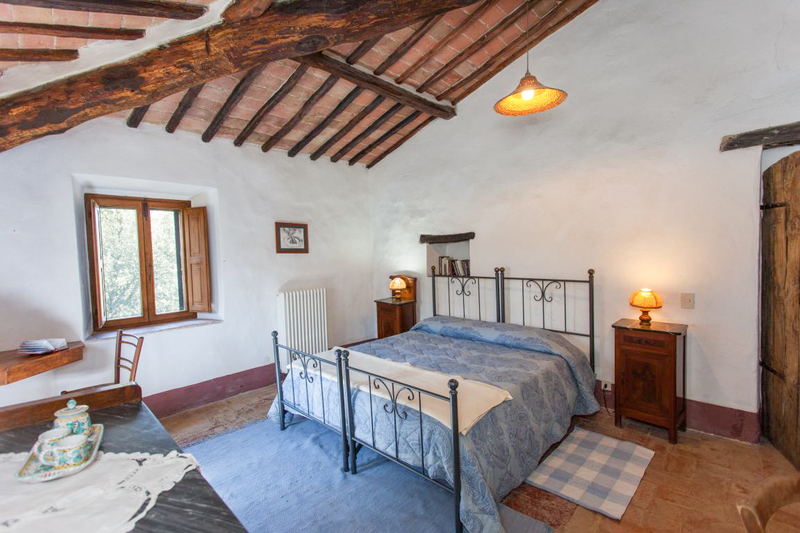 Tucked into the wooded hillside leading to the pastures at Le Vene, this cozy farmhouse has plenty of space both inside and outside the house for enjoying a quiet getaway. 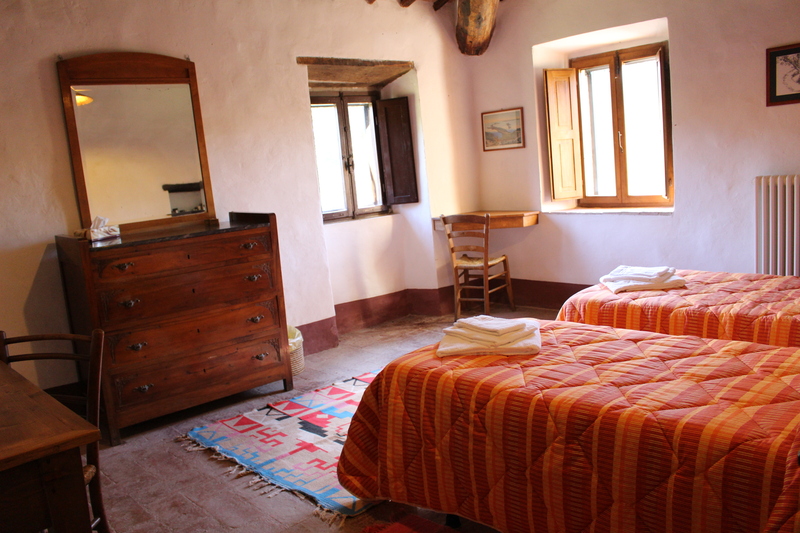 All the rooms are on one level, which makes access easier than some of our other houses. 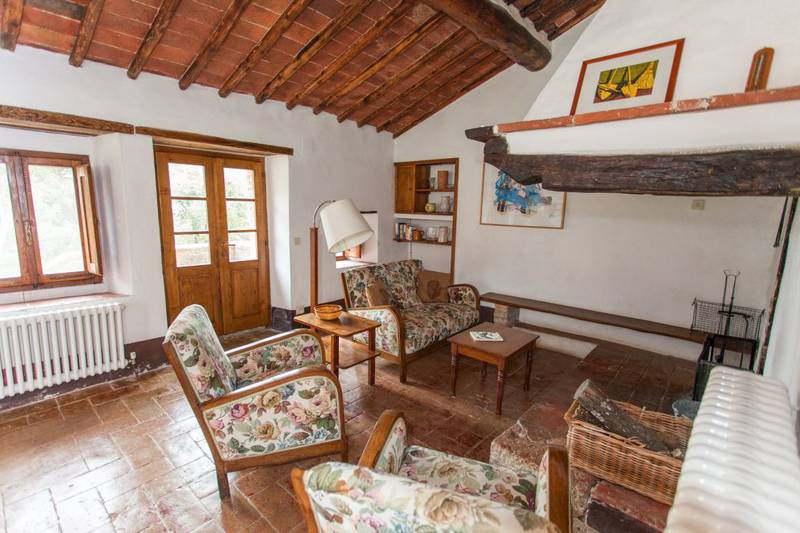 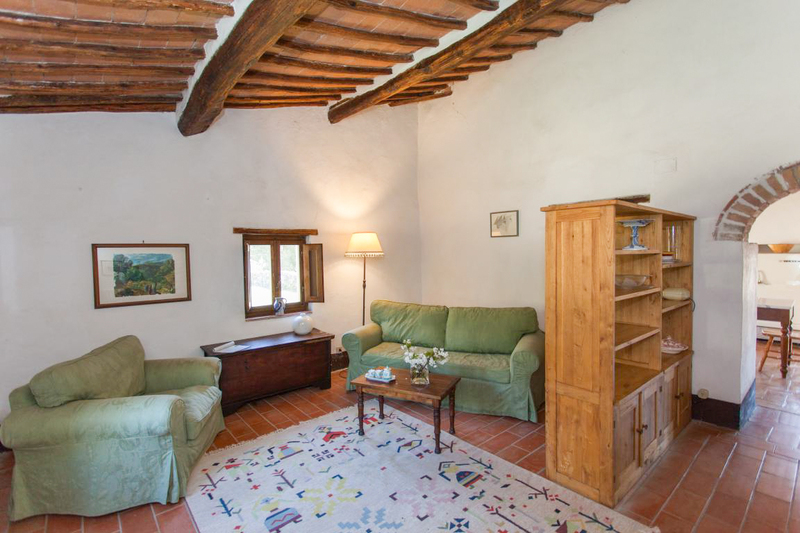 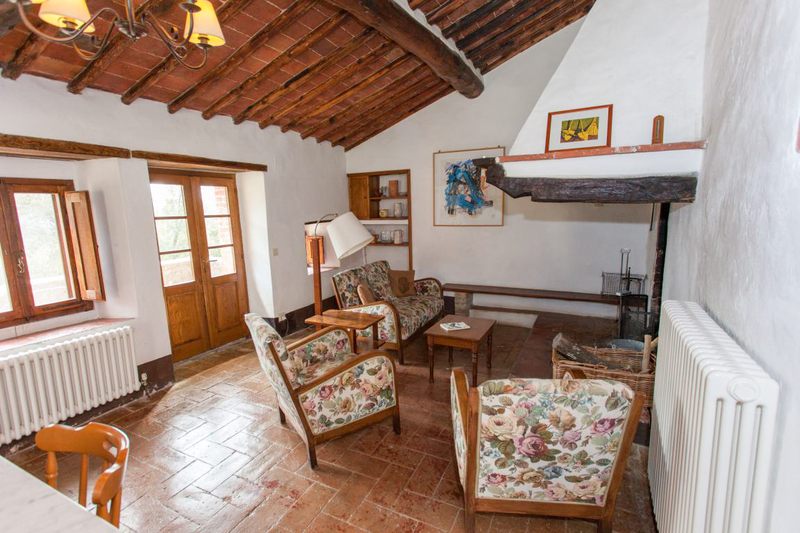 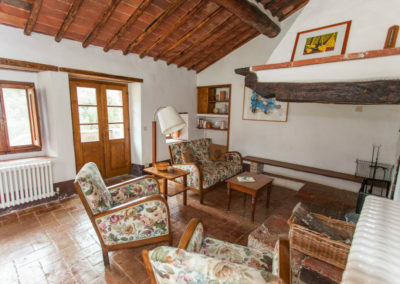 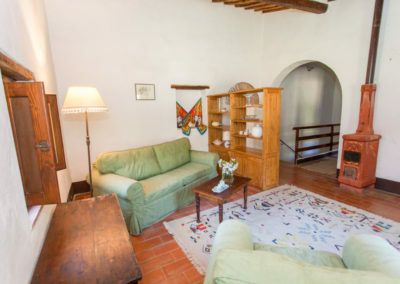 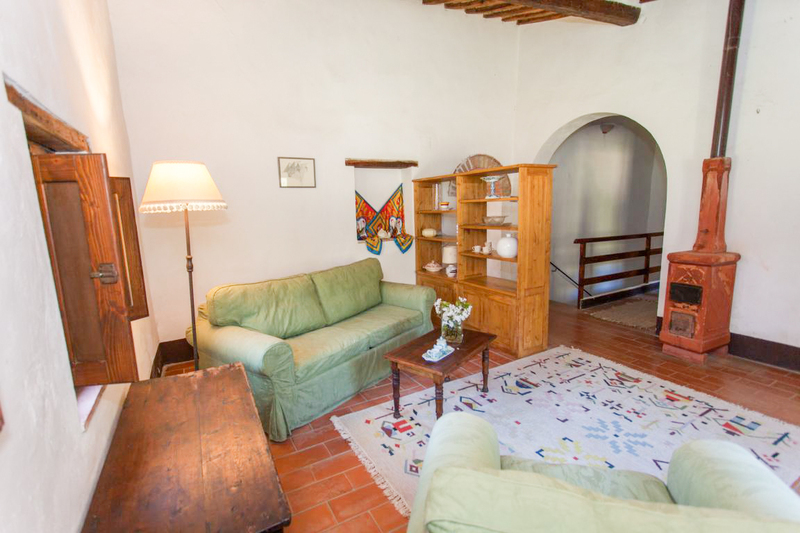 The living room is cozy and has couches, and a desk for planning excursions around the Tuscan countryside. 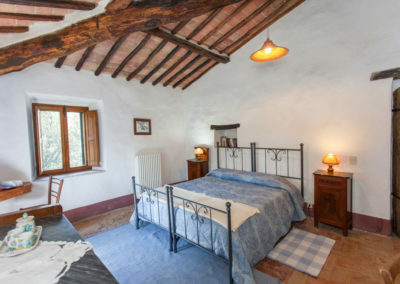 The master bedroom, with double bed and its own bathroom with shower ensuite, has two windows overlooking the wooded hillside between the sheep pasture and the house. 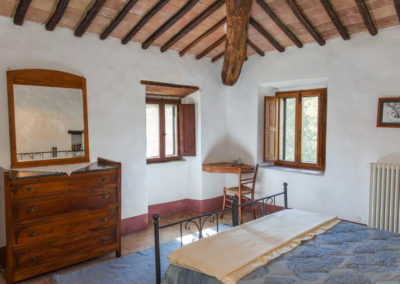 The other bedroom looks down the valley of the Ricausa and across to the fields of the Le Vene where our white Calvana cows graze all summer. 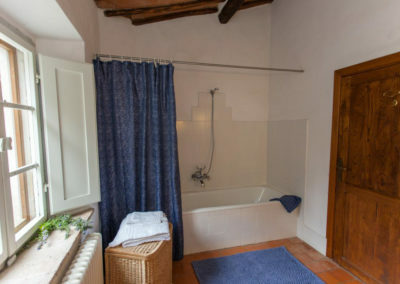 There is a full bathroom with tub/shower off the hallway leading from the living room to the bedrooms. 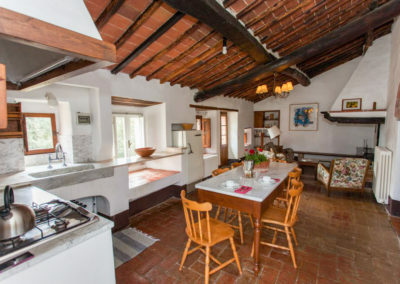 The main room of the house features a sitting area in front of the fireplace, a dining area, a door out to the pergola, and the kitchen. 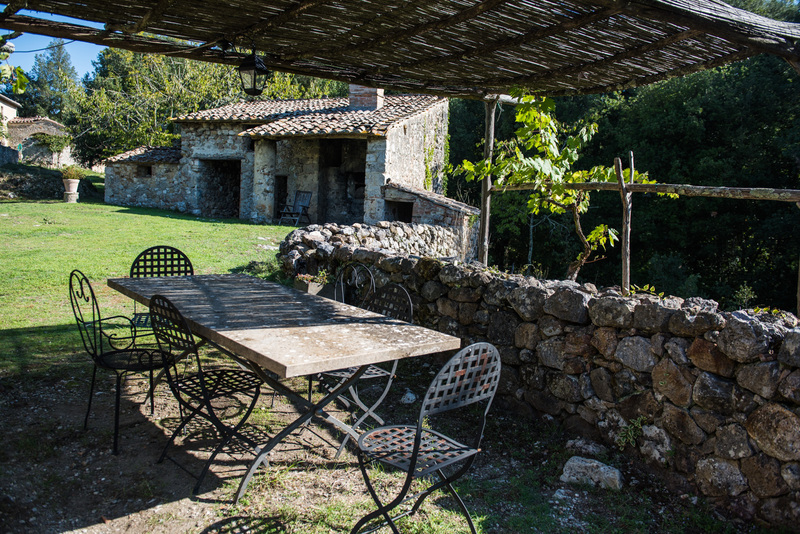 The pergola is our guests’ favorite thing about Montecchino – a full grape arbor built around a large stone dining table, the pergola provides shade in the summer – making dining outside at Montecchino an experience to remember.